Donations will go towards the upgrading of equipment, tournament costs, travel cost and uniforms. Donations are vital for the success of this program. "Go Lexie Go!! We are so proud of you and your team! Keep working hard and great things will happen!!! Love you, Mom, Dad and Wesley!! #back4more #hpnd #seniors2017"
"I'm so proud of you. Keep working hard to achieve your goals! Love you......Dad"
"Go Haley Go! Love you! Dwight, Brittany, Libby & Zeke "
"We are so proud of you Lexie! God has truly blessed you with awesome talent, humility & a servant's heart. Good luck this year! " "2016 Champs again! Best wishes and hopes this comes true." "Best of luck, Blair. Love you!" "Best wishes for a successful year. GO HAWKS! Proud of you, Lauren and your teammates"
"Sorry I hadn't done this earlier but I do it from my computer and I don't start it often. Good luck and hope ya'll have a great year." "Best of luck on the upcoming season ! Go snag some hardware for Carrollton !" "Serve em up, Slam em down! Way to go Madalyne and Hawks!" "Fly High Hawks - To Another State Title Go Alex Poppa and Grandma"
"Go Kylee and go Hawks!" "PLAY BALL!!!! Love, Uncle Mel and Tony"
"Have a great volleyball season Kylee. Go Hawks!" "I'm one proud aunt! Go get 'em, Kendall! Love you!" "We Love you and are Super Proud of you. G-pa and G-ma." "Have a great season! " "I love you Cailey!!! I hope you do well this year!!! Love forever and ever, Aunt Mary Ann"
"Gook luck on a great year! GO HAWKS! Sandi and Swaggy P!" "Good luck Shynia on your season..."
"Have a great year. Good Luck!!" " Alyssa play great and show them what you can do! Go Hawks!!! Hebron Pride !!!! MeMaw and Pop- Pop"
"Good lucky Carly! Mom and dad love you. You're a CHAMPION!" "Good luck this year Kylee. Wish you the best!" 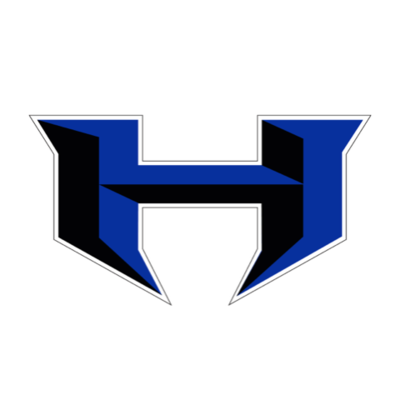 "Good Luck Hebron!! Keep up the hard work:)) "
"Good luck Caylin! Hope this year is even better than the last!" "Good luck Hebron Volleyball! Love you, Caylin!" "100% support the Yates family and wish all you the BEST! Enjoy your HS journey! It will be over before you know it. God Bless!"